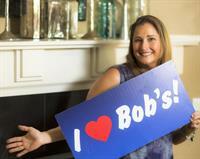 At Bob’s Heating & Air Conditioning, we have been serving satisfied customers since 1957. We pride ourselves in being one of the leading comfort companies of choice in Western Washington. Our goal is to ensure all of our customers are comfortable in their homes, with the best indoor air quality available. Bob’s Heating offers an extensive range of home improvement products and services including Furnaces, Air Conditioners, Indoor Air Quality, Accessories, Service Maintenance and Duct Cleaning. You may already be a Bob’s customer and not even know it! As the leading HVAC contractor for home builders in the Northwest, it is likely that your existing system was designed and installed by Bob’s Heating and Air Conditioning. Therefore, we know exactly what your system looks like, what products were used, where it is located and when it was installed. This detailed information makes it possible for us to provide our customers with the best, most knowledgeable service. Our expert technicians will work with you to help you choose the right product at just the right price. Your purchase will exceed your expectations for personal comfort, operating economy and long-term reliability. We are extremely careful to screen our techs so that you can feel as much confidence in them as we do. All our Team Members are TRUST CERTIFIED – they must pass a criminal background check, a driving record check, and a drug test before they are allowed to enter your home.